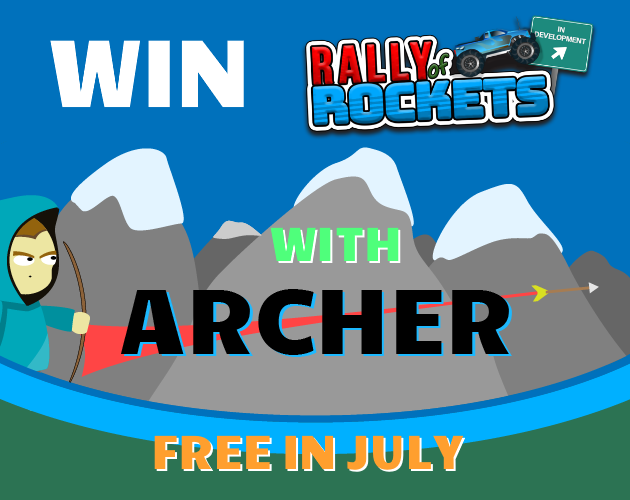 Updated version of Archer (FREE in July) with: The Archer Challenge! Be one of the first 10 people to beat the final cave in Archer with all gold stars ,for a key to my next game, an online combat racing game; Rally of Rockets. Beware of the difficult journey ahead, can you collect all gems, catch the dragon shooting the fewest arrows possible in only 2 minutes and 30 seconds? To enter the challenge take a screenshot of the code that appears and follow the on-screen instructions.